Trendease International · March 2009 / Colors Galore and More! March 2009 / Colors Galore and More! Located throughout the world, the Trendease Team continues to deliver our subscribers around the globe cutting-edge design information straight to their computer screens. 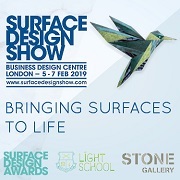 We attend over 100 design events a year on your behalf to bring you leading-edge insights to help you maintain and strengthen your competitive advantage. Currently we keep readers in 5,605 cities within 144 countries in the know!. Are you reading Trendease.com? In this new edition of Trendease the reports are overflowing with color stories. Pantone color references are included to offer accurate color understanding and visualization. This month product images from furnishings to fashion fill the virtual pages of Trendease. Also learn about fresh fashion and social developments. Get inspired with the March edition! Upcoming Trendease Market Edge PowWows, trade show participation details, and Trendease.TV scheduling can be found on the homepage. Ghent — Trends do not exist independently or one at a time. Many trends co-exist, intermingle, and sometimes even contradict each other. It is important to understand who your customer is in order to understand which trend is relevant to you. This month Trendease is brimming with color stories. But there is more than a rainbow of hues to ponder. Social trends trickle into design. Read Jennifer’s thoughts and delve into a photo gallery featuring the trends from Intirio. Frankfurt — The Ambiente trends reflecting directions for the consumer goods markets, which were developed for Messe Frankfurt, are a plea for more continuity and reflection. Ornamental items are significantly refined, surfaces are decorated with art deco, art nouveau and Asian motifs, light graphic designs or unusual animal images. Read more about this theme, see 35+ supporting product images, and the matching Pantone color story. Frankfurt — In this trend from Ambiente see how simple styling can be! Handcrafted and painted create the personal touch. Everyday design comes into focus, bizarre one-offs become favorite pieces. View tabletop and houseware items, lighting, and decorative accessories and see trendy motifs along with a color story containing Pantone color references. Frankfurt — The characteristics of heavy lace, plastic cloques and contrasting matte and gloss effects are transferred from textiles to paper, porcelain, glass and leather – plus matte, with aged metal with processed, modified surfaces and distinctive stone looks. See how this transforms a kitchen from “yawn” to “yeah!” in a gallery filled with images and a correlating color story with Pantone numbers. Frankfurt — The balance between innovation and durability, the longing for simplicity and authenticity are characteristic of the new season. The 50s and 60s are given a contemporary interpretation with fresh colors, filigree shapes and the finest of details. Relaxed zest for life meets dreamy romanticism with wealth of floral interpretations. Experience it in this gallery and take note of the wistful colors and their Pantone numbers. Worldwide — Five trend forecasts for Autumn/Winter 2010/2011 prepare Trendease readers for shifts in the ideas held by society. Dedication, escapism, science and art, interlaced with moments for meditation. Included are specifics for the home and fashion textile markets. Inside are five Pantone color stories and explanations with buzzwords pertaining to new surface design and details. Worldwide — Eco-fashion, lo-fi, laboratory-grown fabrics, fusing product and garment, beetroot-dying, victimless leather, bone ivory, up-cycling and all the other experiments concentrating on environment issues, are so important…read up on some eco-thoughts, catch up on a new colorway with Pantone references, and discover the details to Puritan. Worldwide — Reflect on light and shine—special effects applied to fabrics in finishing, printing, laminating or whatever it takes to deceive the eye. Find out about the latest buzzwords and phrases, color story with Pantone colors, for the Reflection trend where technology is what makes the newest fabrics possible. Worldwide — Nature and man both live on the same planet. But can they co-exist? Designers are forever inspired by patterns and structures found in nature. Rugged is exploring the relationship between the urban and the natural landscape; merging the industrial and the handcrafted techniques. Grab a hold of these buzz phrases and Rugged color story with Pantone references. Worldwide — This direction for Autumn-Winter 2010/2011 reminds us of the Iconoclash trend presented at Maison&Objet. “The curios clash of tapestry and techno. The interference of a precise pattern and a texture. The oddity of a meticulous image…spray painted. It’s glamorously artistic.” Pantone numbers can be found for Exotic with bold buzzwords. Worldwide — Is it an oil slick or the hottest new textile surface? Rich lacquer shine and dense darks appear and disappear, collapse and expand in Identikit. Materials are inspired from high technology building and the military industry. This gallery includes a darker color story with Pantone references and buzzwords. Paris — Three trends for Autumn-Winter 2009/2010 ready-to-wear were presented at Pret à Porter this February: Abracadabra, B&W, and 2109. Learn about each one of these fantasy women here. Abracadabra is a “vanished appearance, wrapped in mystery and long veils. Glowing and dazzling silhouettes, iridescent like a lake in a forest. Natural camouflages and transparencies.” An interesting creature and Pantone color story await! Paris — The woman writer has “a wardrobe written with style and elegance. Text and textile. He and She. Strongly feminine shapes lend to masculine basics.” Forms are tailored like a man’s but this lady is all woman. The paper may not be all that boasts black and white. Only a hawk’s eye can see the variation of the colors found in this palette (Pantones references provided). Paris — The antediluvian avant-garde travels through time and space. It is without a doubt a retro-future trend; it is journeying into the past traditions and springing them forward so that they have relevance in the future. Handcrafted, mix and match, technical. See it here with an eclectic color story and Pantone references. Paris — Precipitation is not only a synonym of speed, it is slow, accompanied, or the precursor of concentration. Summer leather trends for 2010 are full of color and texture when looking at the forecasts presented by Le Cuir à Paris. Home, apparel, accessory, and automobile professionals take note of the for leather trends Slow Precipitation, Zen Opulence, Bitter Tenderness, and Sober Energy. Paris — Opulence is thought over; the luxury and beauty of textures, the richness of sensual and deep colors, is here to stay. Summer leather trends for 2010 are full of color and texture when looking at the forecasts presented by Le Cuir à Paris. Home, apparel, accessory, and automobile professionals take note of the for leather trends Slow Precipitation, Zen Opulence, Bitter Tenderness, and Sober Energy. Paris — Tenderness is not just naive and confident; it can also be acid-sharp, chemical, grating. Summer leather trends for 2010 are full of color and texture when looking at the forecasts presented by Le Cuir à Paris. Home, apparel, accessory, and automobile professionals take note of the for leather trends Slow Precipitation, Zen Opulence, Bitter Tenderness, and Sober Energy. Paris — Energy is interiorized; it sends strong signals and messages for the future. Summer leather trends for 2010 are full of color and texture when looking at the forecasts presented by Le Cuir à Paris. Home, apparel, accessory, and automobile professionals take note of the for leather trends Slow Precipitation, Zen Opulence, Bitter Tenderness, and Sober Energy. Elegantly Elaborate or Immodestly Motley? Paris — Elegantly elaborate or immodestly motley? Whatever your take on such trim might be, the Spring/Summer seasons of 2010 are promising to be eclectic. Women will sport fasteners of all sorts, as well as decorative sashes and trinkets. The men will be seen with scarves over their collars and links securing their cuffs. Casual and sportswear will contrast trends by placing jewelry and other accessories next to technical straps and cords. 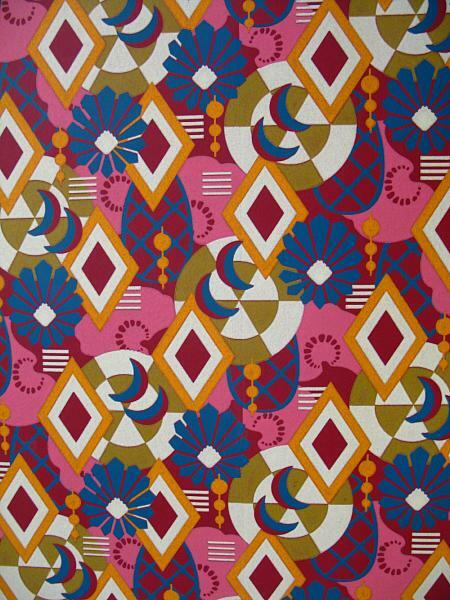 Fashion trends and almost 100 images of trim for all industries fill this feature. Paris — Reverse engineering textiles inevitably leads to the same result, regardless of the material involved or how it’s been assembled. Yarns and fibers are the principle elements used to create fabrics and the process of doing so is becoming increasingly responsible. 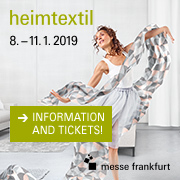 Consumers want greener products that perform as well as their less eco-conscious predecessors, so for Autumn/Winter 2010/11, Expofil exhibitors meets these demands with a variety of natural materials. Oslo — Trendease readers may recognize Cathrine’s lighting from our coverage of Designersblock. Recently we were inspired by her new project in Oslo. And seeing as her work fits in perfectly with the trend of consumers bringing more nature into their homes as well as our topical episode of Trendease DesignVision ‘Making the Cut,’ she was a prime choice upon who to shine the March 2009 Designer Spotlight. Staffordshire — The English are known for their afternoon tea, so it is only fitting that they spend some creative energy designing the cups they see every day. Designers united under a new brand have created fresh, innovative and surprising decorations for ceramics. This article shows which cutting-edge trends the designers have latched on to in their latest work. Las Vegas — Going Green in Las Vegas would, for most people, conjure up images of hitting it big at the slot machines or black jack tables. At the Las Vegas Market, whose theme this year was “Survive or Thrive,” going green was certainly thriving in the Living Green Pavilion. The companies featured were members of the Sustainable Furnishings Council, and the products they displayed were innovative and highly creative as well as sustainable. Paris — Today Trendease introduces oodles of new information for material lovers. Leather and corresponding materials fill five new galleries this week. Starting with this newsletter gallery of the ZOOM trends Smoke Gets in Your Eyes, Black Cat Blues, and She’s a Rainbow. Also get a taste of what Designer’s Days will offer this June! Paris — There are three new galleries for subscribers to enjoy this week! Wrap, protect, compress, compact, store, send, fold, roll, fit together, articulate, slide, inflate, and spread out are descriptions of the future of packaging. In this newsletter gallery subscribers can see packaging which pops up, looks similar to origami, and is made from eco-responsible materials: unbleached Kraft board, biodegradable polythene, compostable sachets, compressed vegetable fibers, recycled plastics and non-woven fabrics, molded papier mâché, and pressed wood fibers. York — Appropriately matching is this week’s newsletter gallery of photos. Crystals, studs, fringes, flocking, metallics, weaves and layering are the latest fashions for apparel as well as the wall. Taking inspiration from the catwalks, and merchandized in a spectacular manner, is this avant garde collection of wallcoverings that can be seen here along with tidbits on recycling. Multiple European Cities — Not only do we have innovative materials when it comes to color, texture, and functionality, for both interior and exterior designs, similar options are available to those sporting fiberglass casts. A visit with her mom inspires Jennifer to pull together a gallery with the latest material innovations. Wallcoverings inspired by skin, children’s discarded toys as countertops, pull ties as a fabric? All of this and more in this gallery.